Following our blog on Dessol last month, What’s In a Word? Everything When It Comes to Online Activity we publish further thoughts about words and design. Clever words and clever design. They cite John Cage, who was also famous as a minimalist composer-musician, as a great writer of mesostic poetry. Well, award-winning designer Roger Horberry is not just a fan of the technique but makes effective use of them to design and promote all sorts of things. 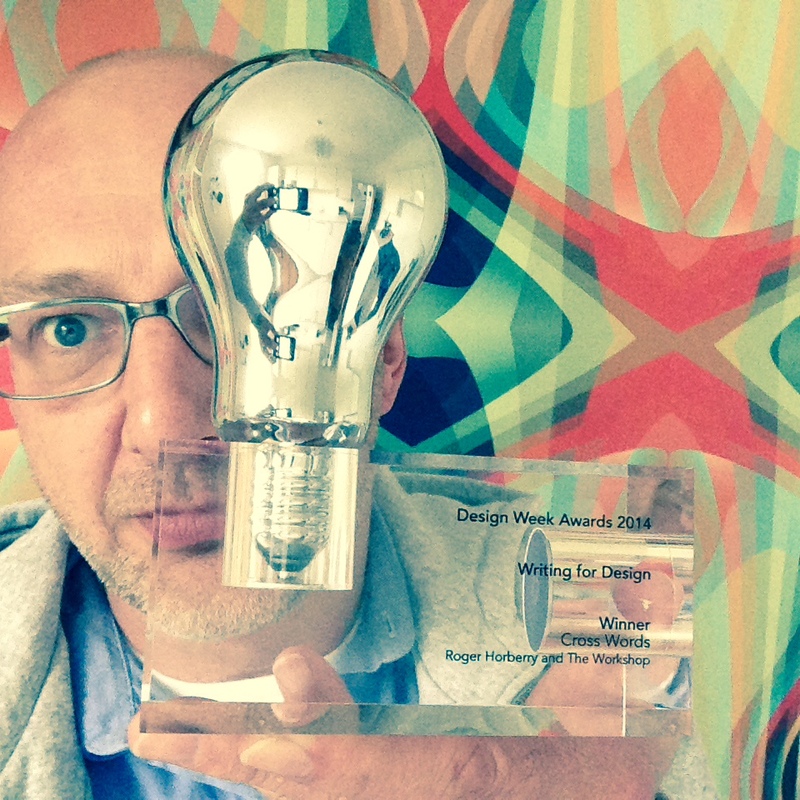 Recent recipient of 2014 Design Week award – ‘Writing for Design’ – 2014 winner Cross Words, Roger Horberry collaborated with The Workshop. The category covered writing for brand campaigns, identity programmes, packaging, digital projects adopted during the calendar year 2013. His design was a clever arrangement of a key horizontally written statement (Ideas spontaneously materialising at precisely the right juncture? Alas, The Muse isn’t quite so dependable) so that the right letters vertically spell a keyword – INSPIRATION. 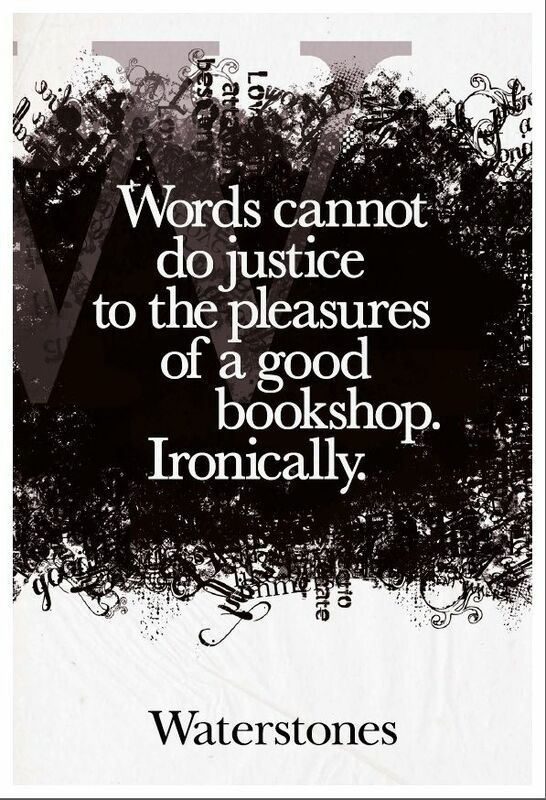 Incidentally, one of my favourite pieces by Roger is a poster for Waterstones’ that reads: Words cannot do justice to the pleasures of a good bookshop. Ironically.’ It’s clever, apt, concise and works. Roger also uses the occasional variant of word clouds to achieve his telling art and copywork. Not to be confused with The Cloud for storage and disseminating in formation, the word cloud is an agreeable, often quirky arrangement of keywords or short phrases which tell a tale, sell a message too. Often they can be tag clouds, too, but the essential point is that the words are designed and presented in such a way that they are interesting, appealing and communicate fully. You can buy a programme to do it; some sites do it for you. Just type or paste in a bunch of text, click ‘generate’ and low and behold you get a word cloud. One such open ended and text analysis tool is WordyUP. They say it is of use for professional researchers, insights pros and marketers. Wordle calls itself ‘a toy for generating word clouds from supplied text’. They allow users to generate clouds and use them for any purpose. If they are in the gallery, then anybody else can use them too. they also explain how to set up your own technically and how to overcome technical problems. Tag Crowd is a similar set up with free provision to create and use your own tag cloud. 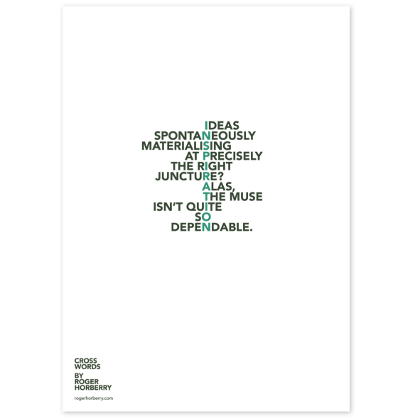 One of Roger’s blogs identifies himself with Dessol customers ABC Copywriting poster used at the head of this blog and which sums it up when it comes to descriptive words. Why not ask Dessol to help out with your words to make the designs really effective and powerful and customer focussed? Our thanks to Roger Horberry for permission to use some of his works to illustrate this blog.